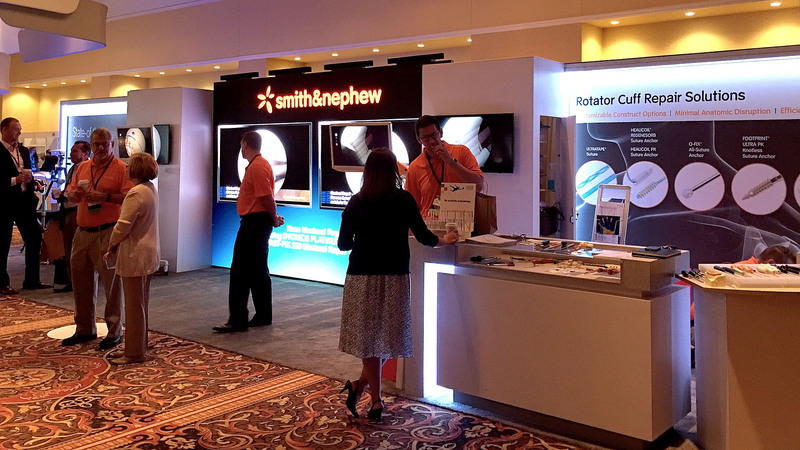 The American Orthopedic Society for Sports Medicine (AOSSM) Annual Meeting 2016 was held during Jul 07 – 10, 2016 at The Broadmoor Hotel, Colorado Springs, Colorado. Image Production Services was onsite again to provide a 14’ x 8’ 3MM LED Wall along with additional video, audio and technical support. The project included creating custom sports specific content displayed on the 3MM Wall as well as displaying the Smith & Nephew high resolution cameras used in medical procedures.